I am finding my email box filling up with new entries! Who will be one of the Bulldog Reader Winners? Perhaps it will be one of these fabulous readers! 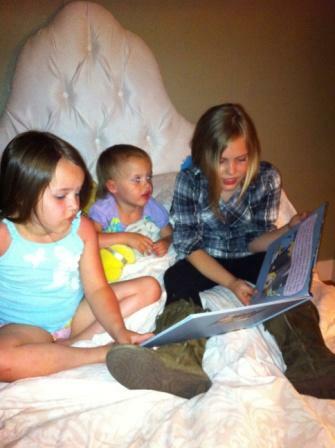 Grace knows there's nothing like reading in bed! 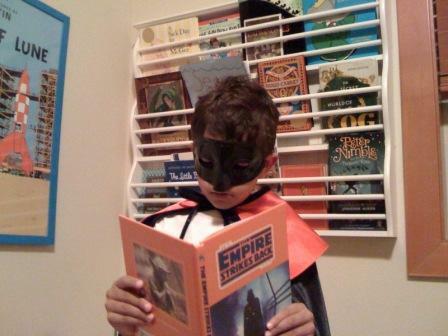 Who is our mysterious masked reader? Bridget takes reading to new heights! 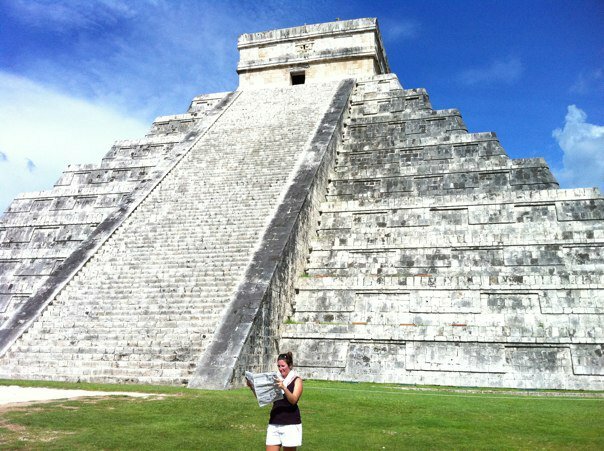 Mrs. Adair reads in front of the Mayan Ruins,Chichen Itza, near Cancun, Mexico. What you think about our latest entries? Mrs. Adair went to Mexico. Have any of you been there too? This entry was posted in Summer Reading Contest 2011, Uncategorized by Mrs. Hembree. Bookmark the permalink. what can I say as I am lost for works as your bulldog reader are always amazing me with where they are reading. This task of picking out the winners has reached a whole new level. This is going to be one very difficult task. I really love all of the above photos as each one has a story to tell by just looking at them. Once again great work bulldog readers thank you for sharing these wonderful picks with us all Mrs Hembree. Awesome photos I really like them all. I do have a question for you I wonder who the Mask bulldog reader is. I got a funny feeling is it Josa! I can’t believe how many Bulldog Readers have sent us photos! It is really quite fantastic. It makes me so proud to have them as students. Go Reading! I am on my way to my school today on a Saturday! We are having volunteers come help us set up our rooms. I especially need the help because the library has moved. I am going to take photos and then write a post about the transformation. BB – you are very wise! I agree with you! I do believe the mysterious masked reader is Josa! Dear Mrs.Hembree , who sent the picture that has a person high siting? Let me guest Alex.F? I wonder who it is. If you see Ms.Valenta can you say Hi for me. Mrs.Hembree so how is Ress?Sorry I forget how to spell Ress. Did I tell you a mouth or 2 mouth ago i tell you that I saw Alex.F and Tina at Kayak Yak point? So on the first day of school I will give you a drawing if your library is open. You Fan Alex. So great to hear from you again! I think it’s great that you have written so many comment this summer! Awesome work, Alex! 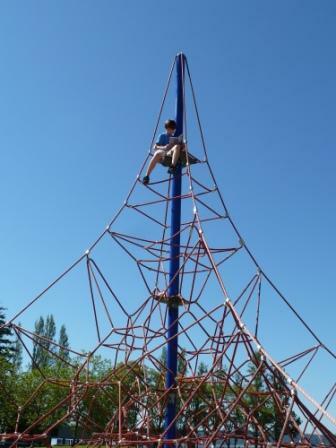 The person in the very high photo is Bridget! Hard to recognzie her way up there isn’t it? She’s at Kayak Point Park. I have never been there, but it looks like a fun place. I was at school helping to get the library reading! You will be very surprised by all of the changes on campus this year! I look forward to seeing your drawing! I wonder what it will be about!